Details über Release und Spezifikationen kommen bald. 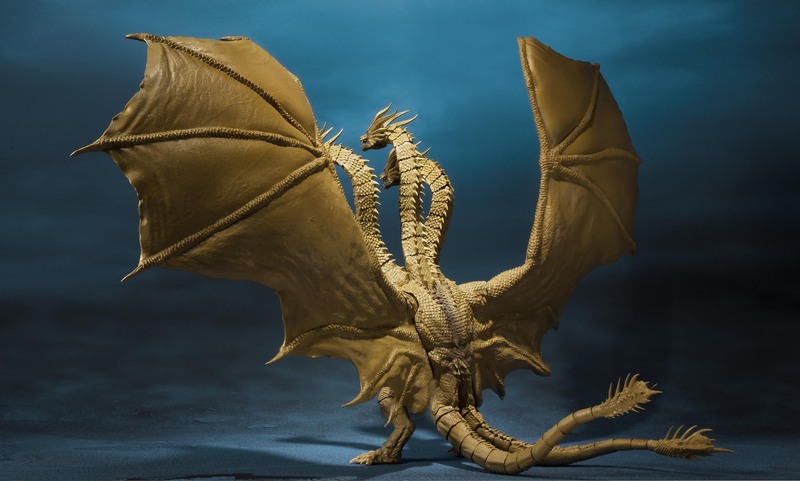 Hat wer bereits die Neuauflagen von Mothra und Battra bei einem Shop bestellt und könnte mir den Link schicken? 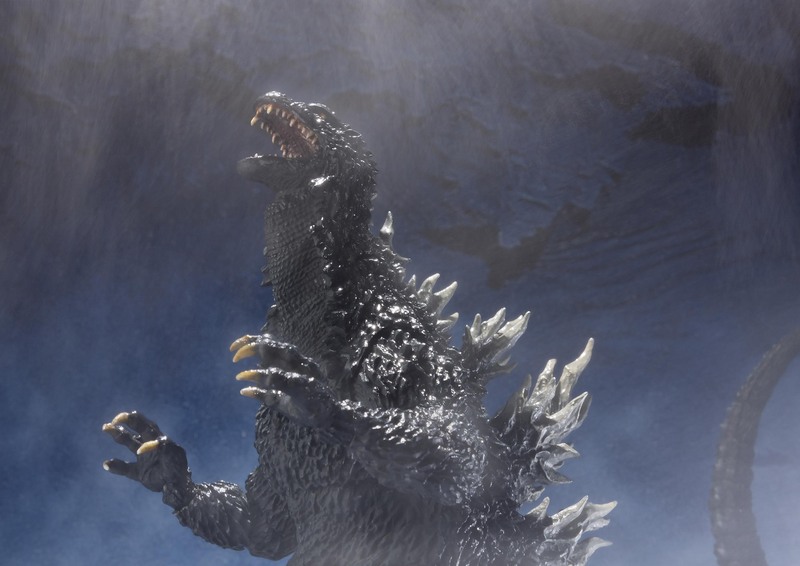 Godzilla featured in its first Anime debut! 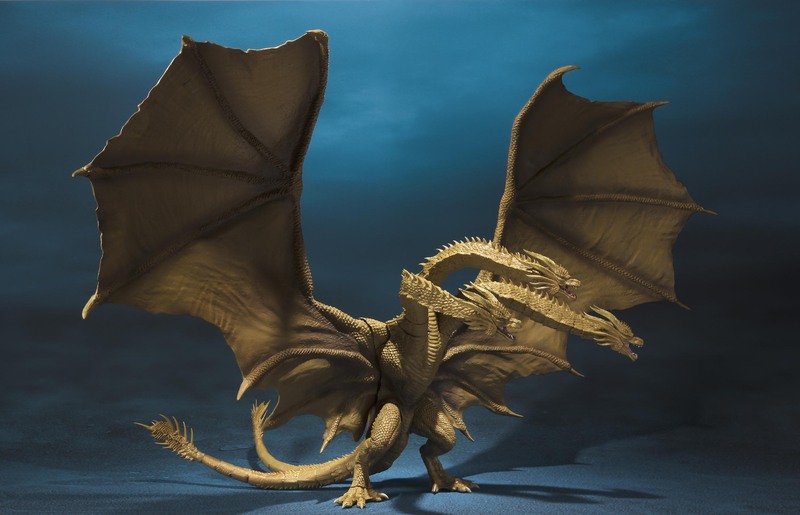 This figure is accurately created thanks to Polygon Pictures for allowing the use of the 3D model used in the movie! The first production limited edition comes with a special card. 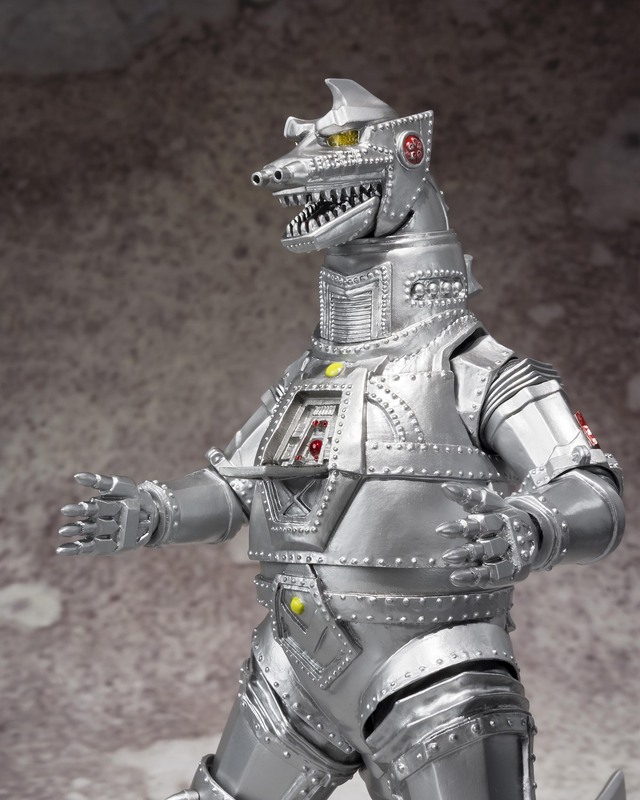 The titanic mechanical foe of the mighty Godzilla, as seen in his debut, the 1974 "Godzilla vs. Mechagodzilla," joins S.H.MonsterArts. 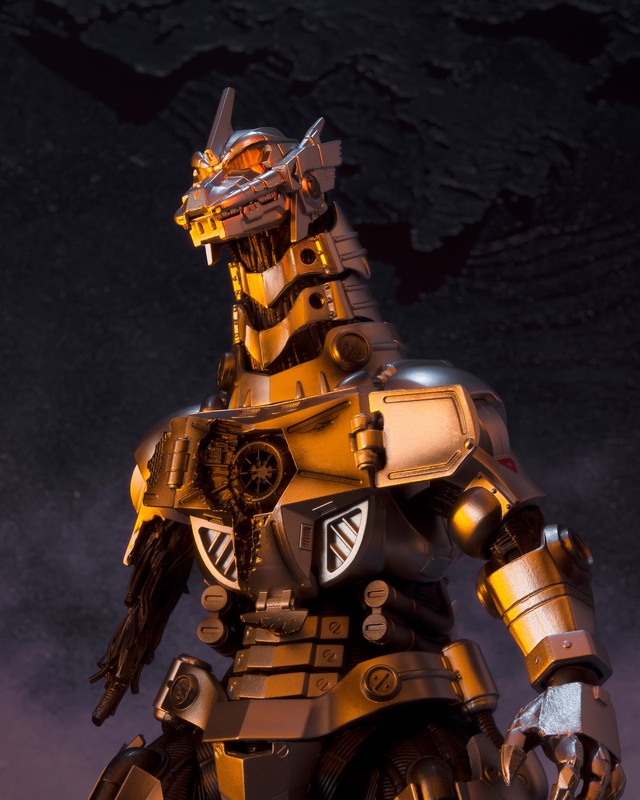 Sculpted based off of the actual costume used in shooting the film, this is a definitive portrayal of the iconic character. 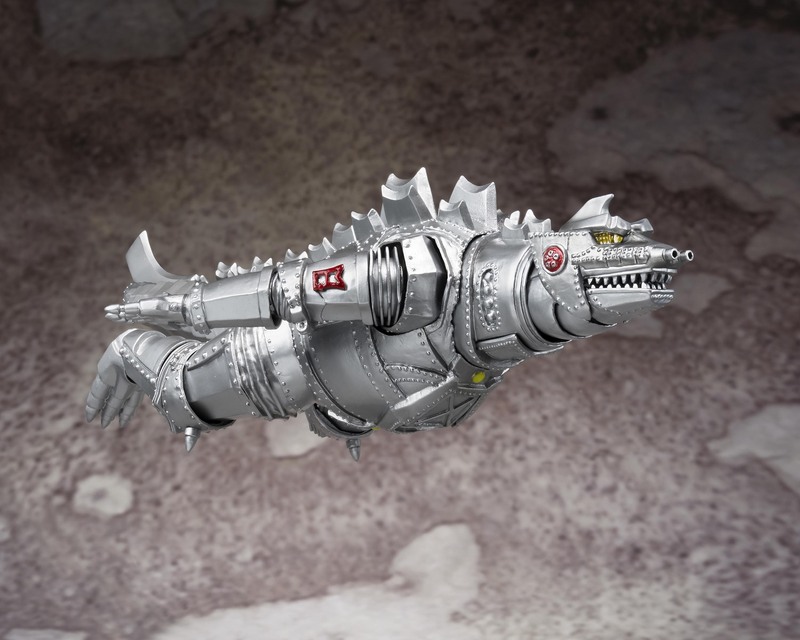 The chest missile hatch opens and closes, and the neck retracts to take the film's flying pose! 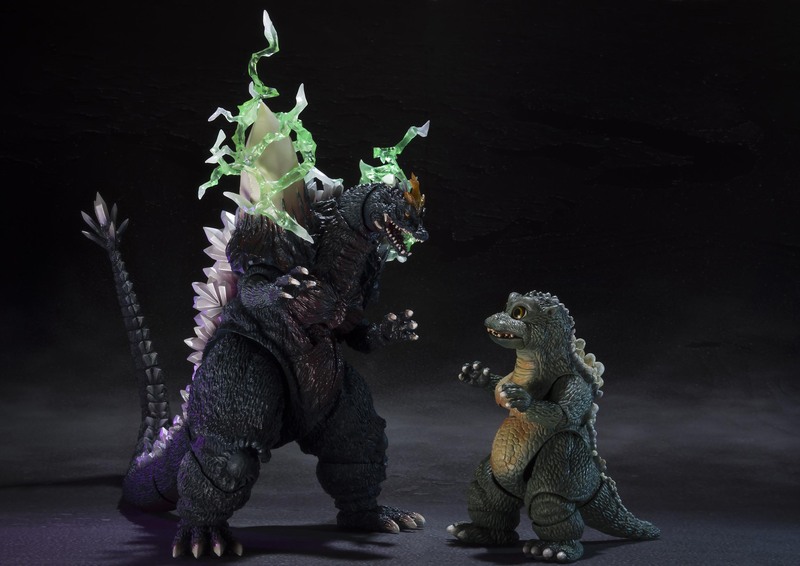 Space Godzilla and Little Godzilla appearing in "Godzilla VS Space Godzilla" appear as Special Color Ver. 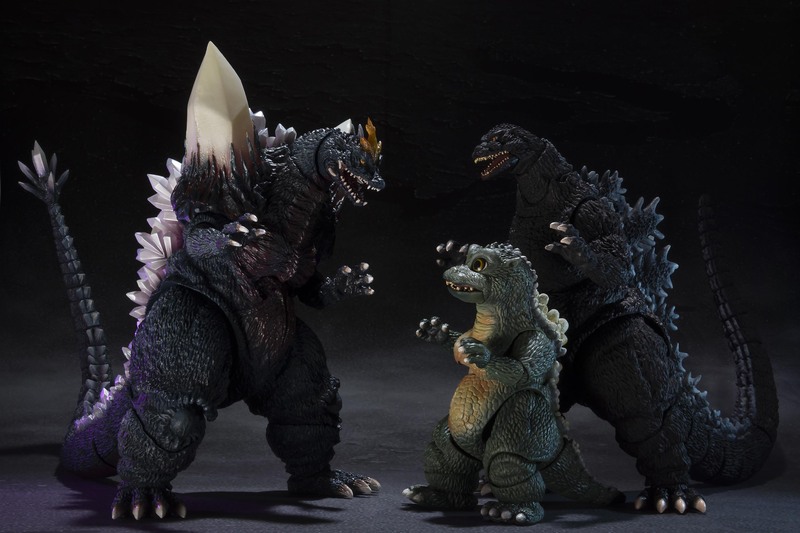 Space Godzilla and Little Godzilla paint the battle scene in the movie and paint with dirty coloring. 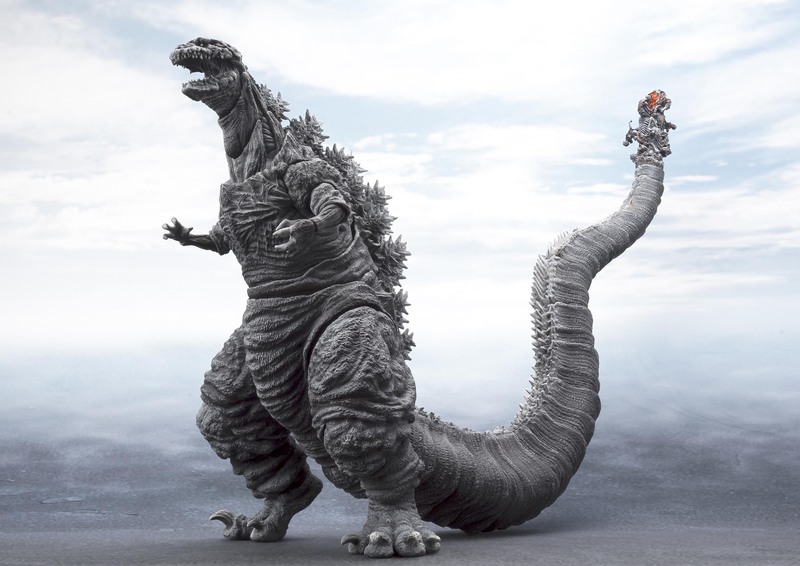 In addition, Spacegodzilla includes gravity tornado's that can rest on its shoulders. 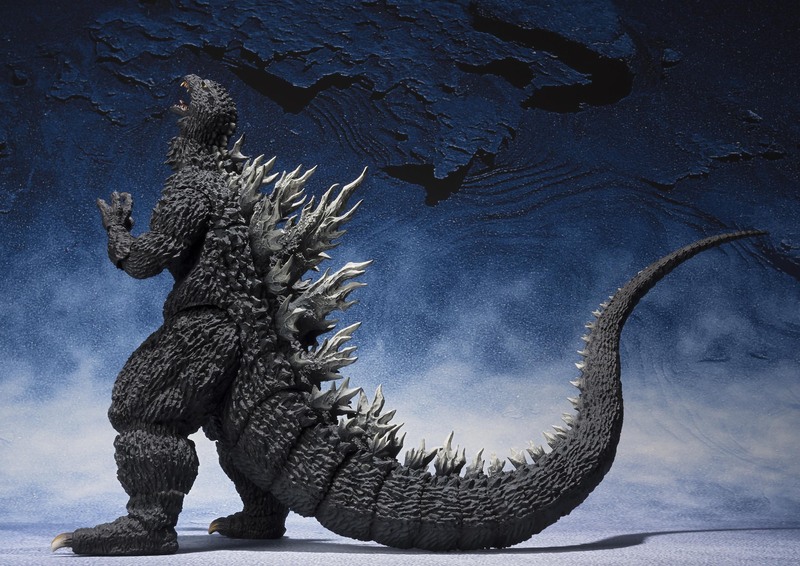 S.H.MonsterArts: Godzilla (2002) in Coming!!!!!!!! KiryuGoji finally joins the ranks of S.H. 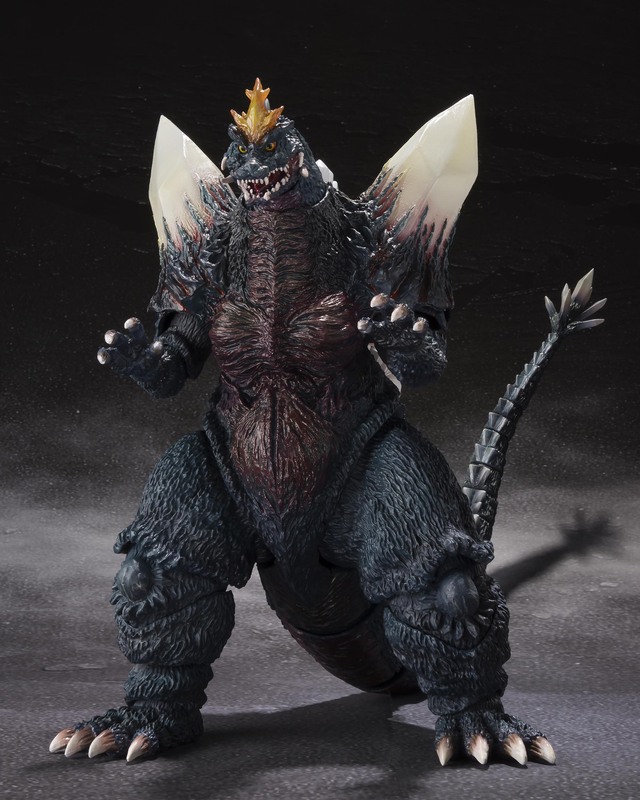 Monsterarts, and he looks absolutely incredible! 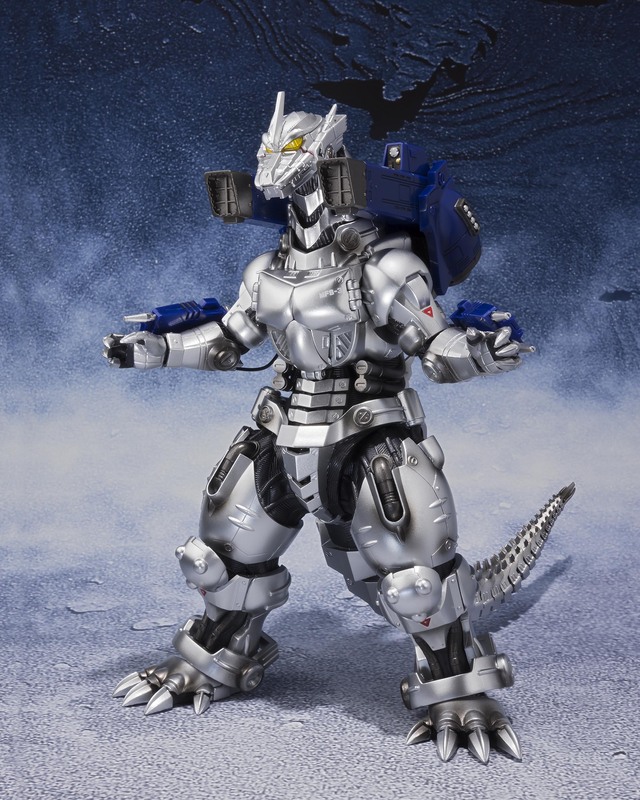 He'll be storming with an aimed release of April 2018, at the price of $81.90. 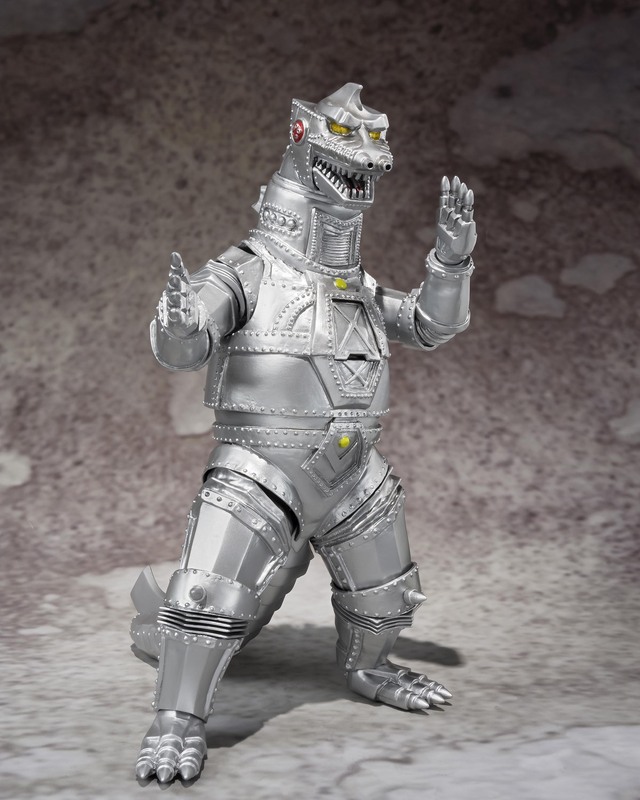 For collectors out there, keep a sharp look out for when preorders go live. Zuletzt geändert von xXxKilluxXx am Do 23.11.2017, 08:57, insgesamt 2-mal geändert. 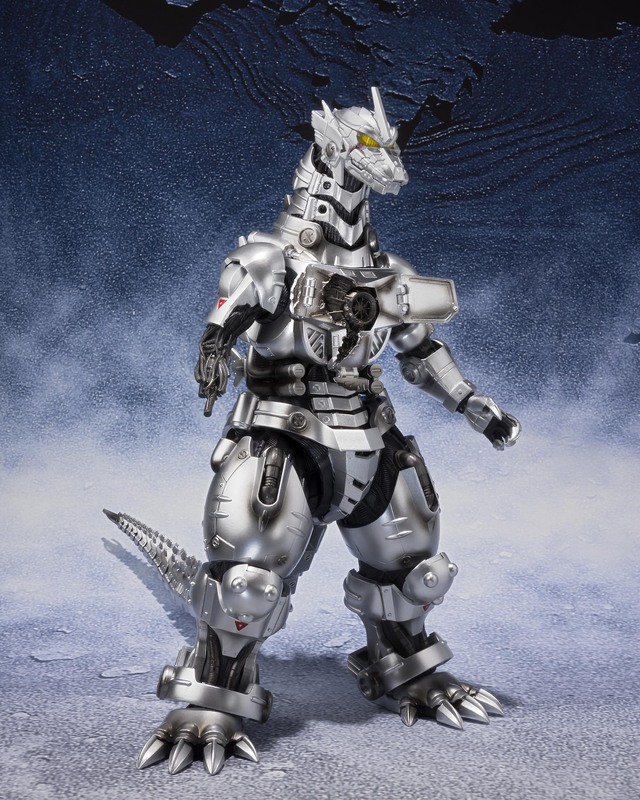 Introducing S.H.MonsterArts Godzilla (2002) from the hit film, Godzilla Against Mechagodzilla (2002). 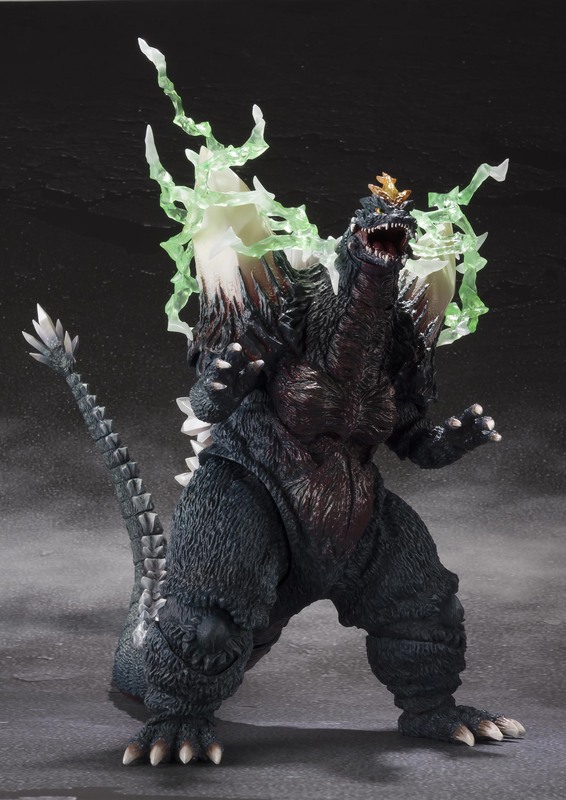 It's like the monster jumped out of the screen and into your hand, this figure boasts screen accuracy and the latest articulation engineering which provides a wide range of posing possibilities. 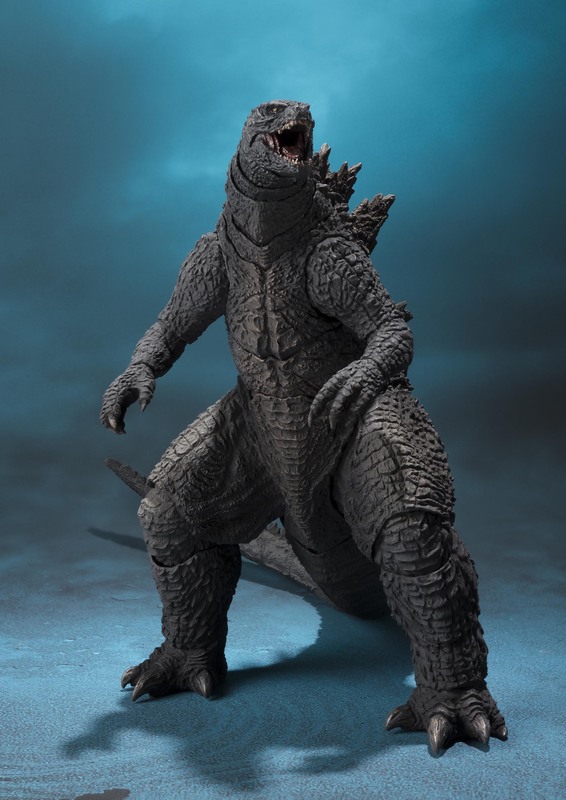 Sculpted by veteran Yuji Sakai, this figure reproduces many of the characteristics that were special to this Godzilla design such as the neck frilling. 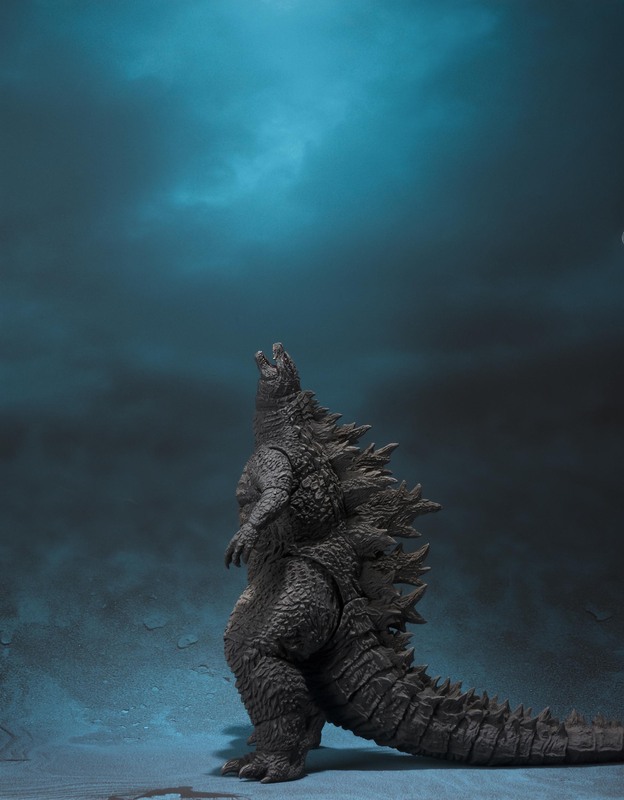 New to a Godzilla figure, it will be able to rear its head back to recreate the pose from the iconic scene at the beginning of the film. 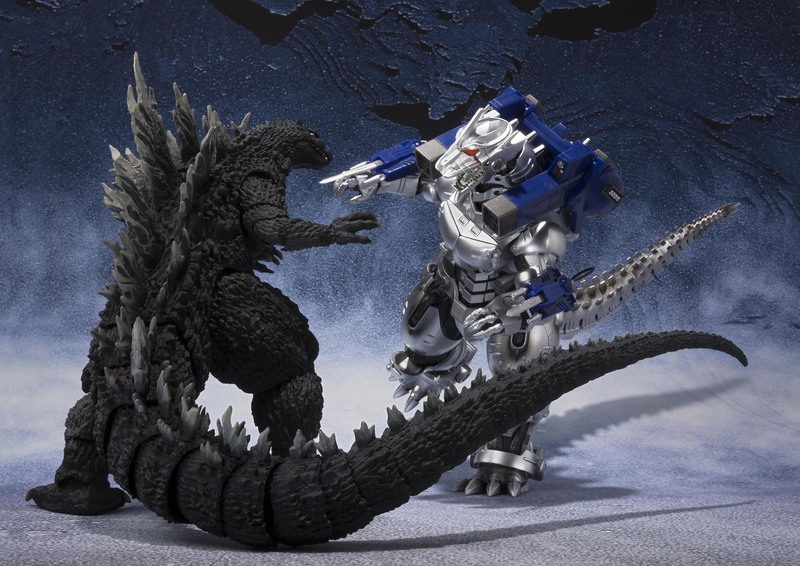 Best of all, this figure scales perfectly with S.H.MonsterArts MFS-3 Kiryu (not included), to re-create epic battle scenes! Zuletzt geändert von xXxKilluxXx am Sa 24.03.2018, 06:01, insgesamt 4-mal geändert. Kennt jemand einen verlässlichen Shop, wo man den 2002er bestellen könnte? 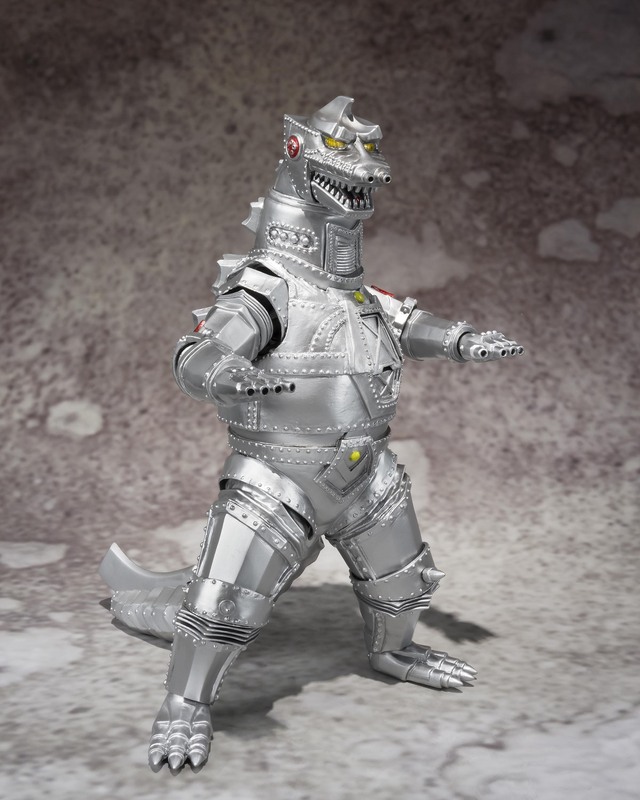 ...also ich bestelle meine Figuren meist in Japan. Sehr zuverlässig seit Jahren finde ich Hobby Search und Amiami. Kommt dann natürlich noch Porto und Zoll dazu. Danke. Wie hoch ist das Porto, schätzungsweise? Das hängt von der Versandart ab. Es gibt da verschiedene Möglichkeiten. Längerer Weg heißt teurer, Prio-Versand geht schnell, kostet aber mehr. Am besten mal einloggen, Teil in den Warenkorb legen und den Bestellvorgang durchspielen. Da kommt man dann auch an eine Stelle, wo man die Versandoptionen und damit auch die Portohöhe auswählen kann. So richtig günstig ist der Versabd bestimmt nicht. 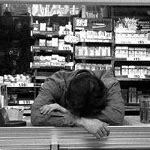 Aber erstens bekommt man zurzeit viel Yen für den Euro und wenn man hier in Deutschland einkauft, sind diese Kosten ja sicher auch "mit drin", denn der Händler kriegt die Sachen ja auch nicht umsonst hierher. Ja, ich überlege schon, ob ich bei einem deutschen Händler anfrage. Das erspart das Theater mit dem Zoll. Und die Versandkosten nach Ö fallen dann sowieso nicht mehr so ins Gewicht. Ich muss Tobias vom Animestore wohl mal ein E-Mail schicken. 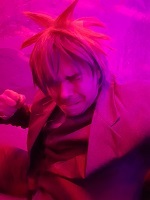 Er hat mir auch den Kiryu damals besorgt. Dann kamen noch 31 Euro Einfuhrumsatzsteuer hinzu. Zollgebühren fielen nicht an. Die hat man nur bei sehr teuren Sachen (hatte ich oben nicht ganz korrekt geschrieben). Sich den Ärger beim Zoll zu ersparen, ist eine gute Idee. Musste schon öfter mal hin, wenn Päckchen keine ordentlich Rechnung dabei hatten. Da muss man sich immer erklären, ist nicht angenehm. 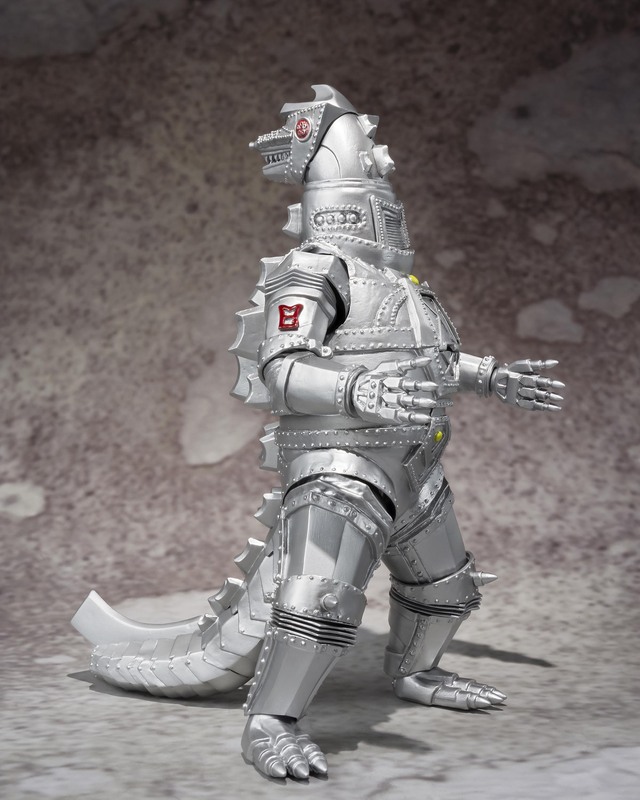 Bei Amiami und Hobby muss man sich da keine Sorgen machen. Rechnung ist ordentlich dabei, sodass in fast allen Fällen der Postbote an der Haustür abrechnet und man nicht beim Zollamt antreten muss. 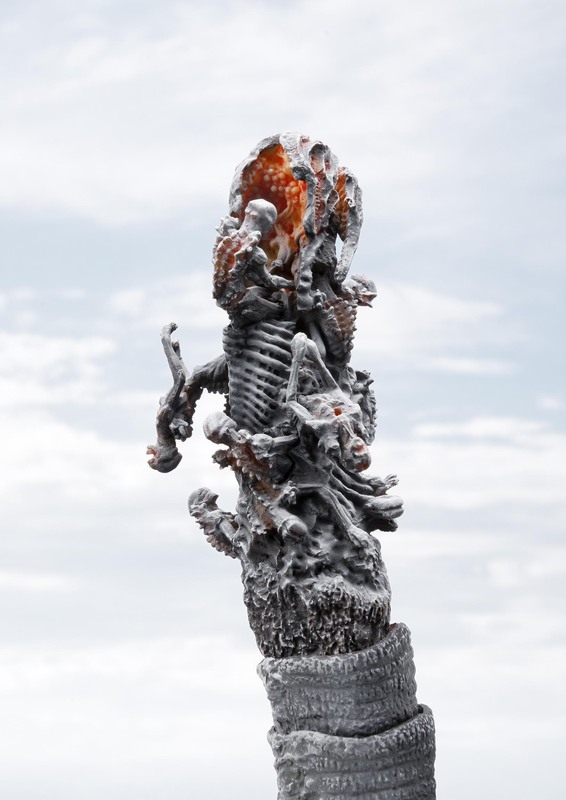 Godzilla (2016) as seen at the end of Shin Godzilla in its frozen state with blood coagulant. 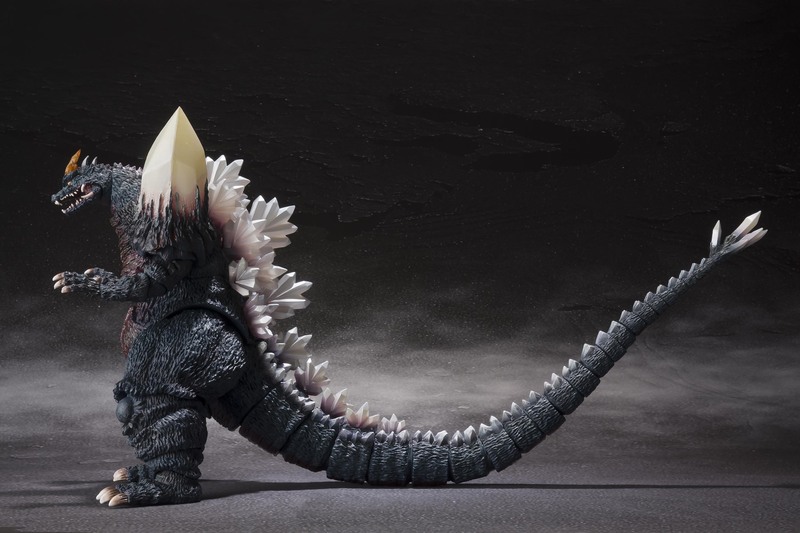 This particular release will feature a monochromatic paint job and accompanied with a newly sculpted tail tip as seen in the movie's final shot. 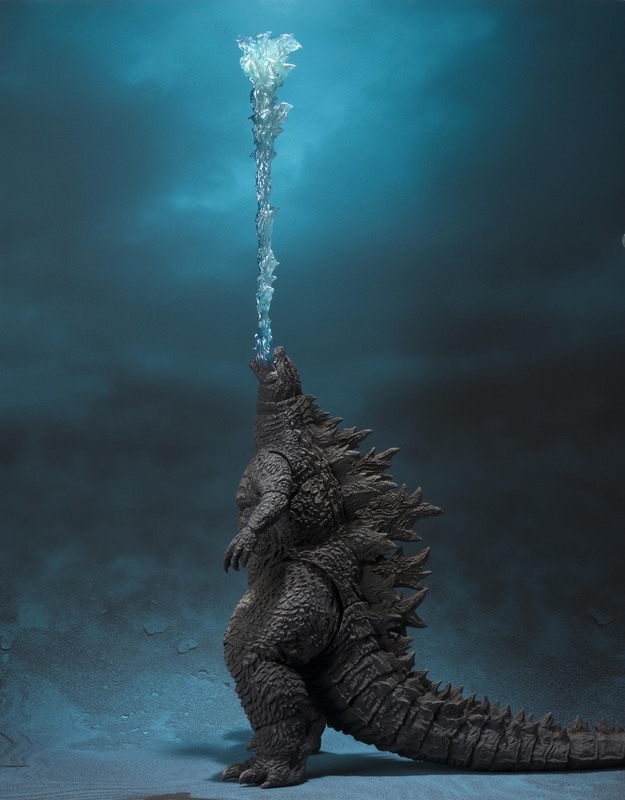 Using the power of the original CGI modeling and 3D printing, the tip has been been reproduced to fit the S.H.MonsterArts scale. 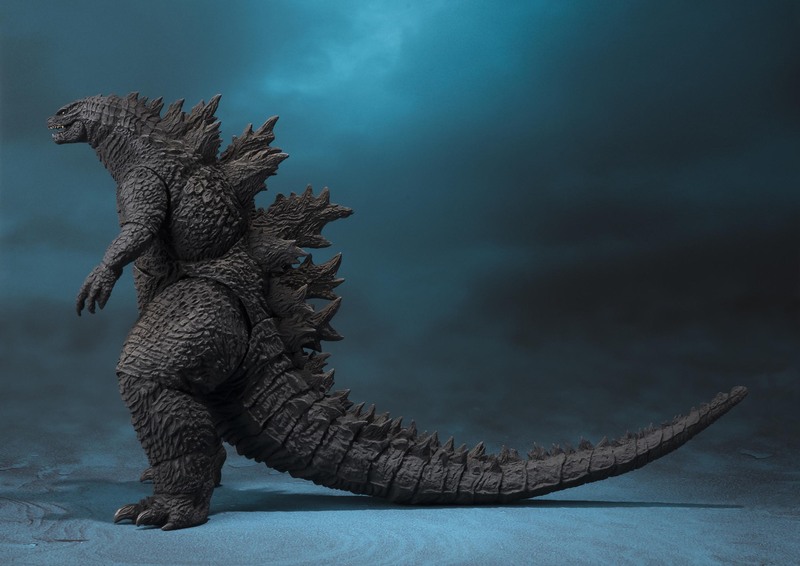 The sculpt and paint were overseen by Mr. Takayuki Takeya, the creator of the original Godzilla (2016) maquette. Zuletzt geändert von xXxKilluxXx am Sa 24.03.2018, 06:01, insgesamt 1-mal geändert. 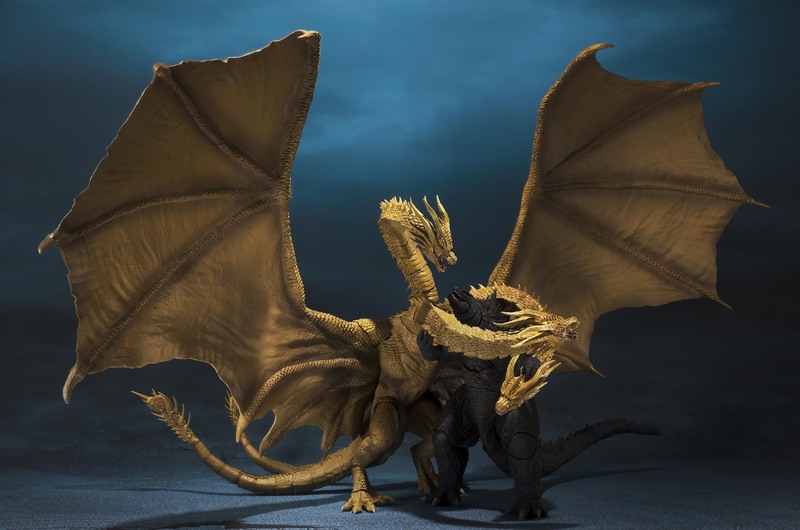 "S. H. MonsterArts MFS-3 3 Dragon Doll" boasts one of the most popular appearances in coloring that imaged the final battle scene of Shinagawa's climax. 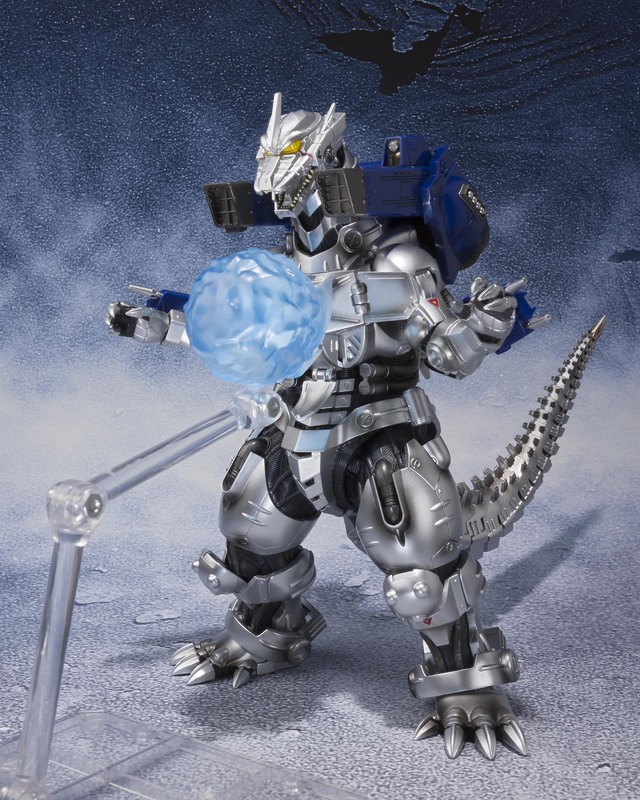 In addition to the shooting effect of Absolute Zero, which is a deathbed technique, damage reproduction parts for reproducing the 3 type machine drag damaged when zero distance is fired at zero absolute are attached with new modeling. 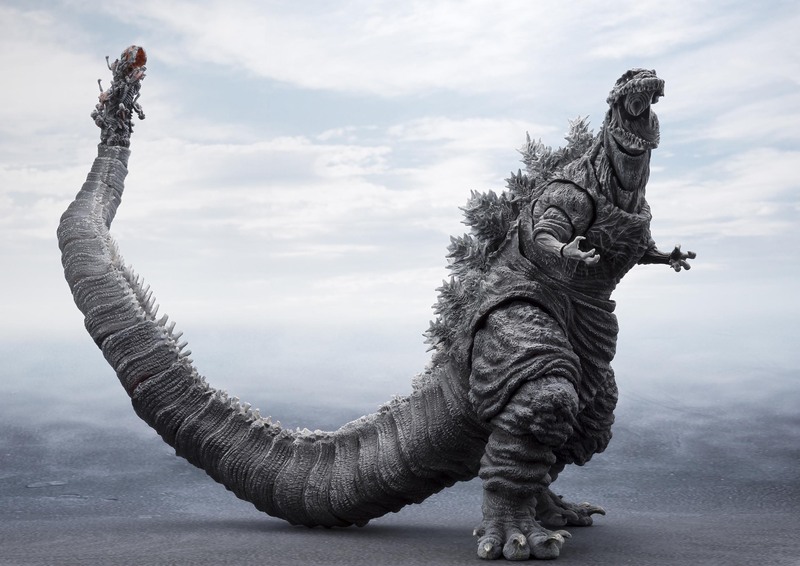 This version of Godzilla represents the 300 meter "Godzilla Earth" from Godzilla: City on the Edge of Battle. 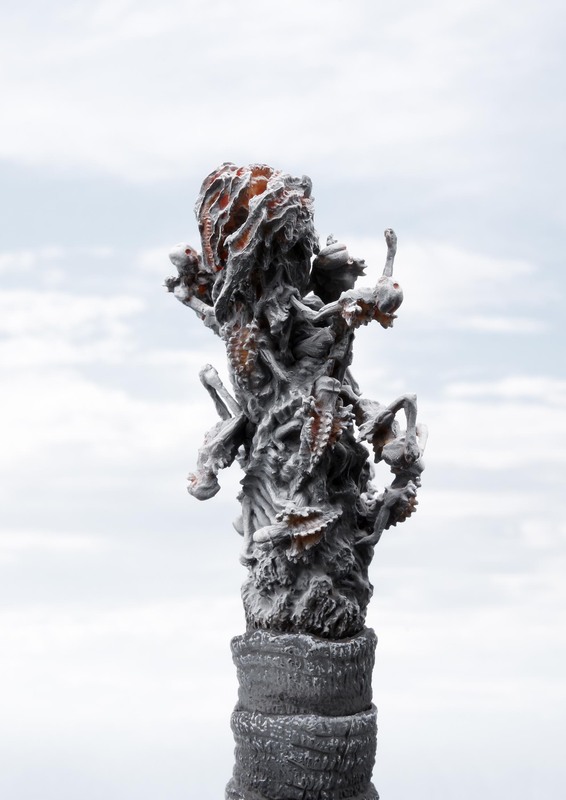 This figure is created from the 3D data used in the film and was overseen by Polygon Pictures staff, making it an incredibly accurate portrayal of the Godzilla Earth seen in the film. 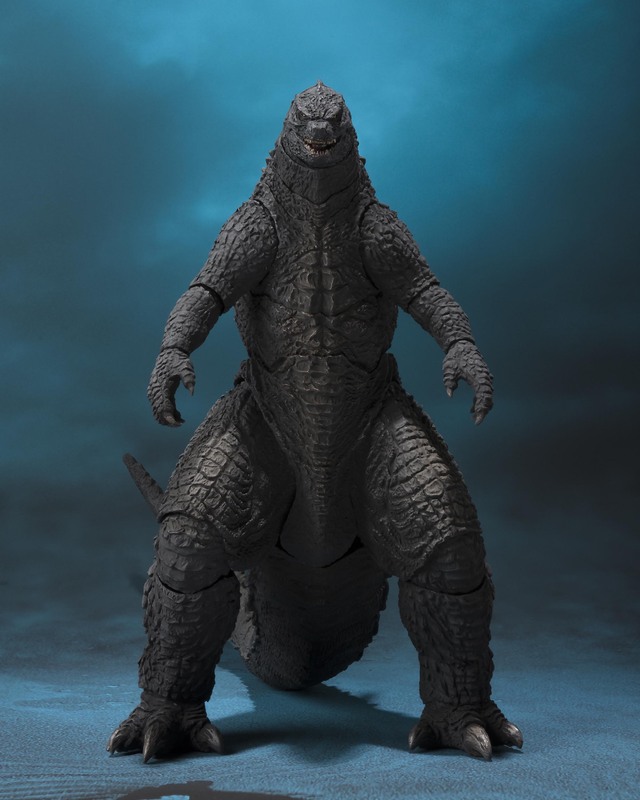 Godzilla Earth features some newly shaped features, most notably in the face, a slightly different paint application, a ship In addition to some new shaping, a Landing Ship (2.2 inches in length), and Godzilla Philius (1 inch in height) to reproduce the sense of scale. Zuletzt geändert von xXxKilluxXx am Do 04.10.2018, 08:02, insgesamt 1-mal geändert. 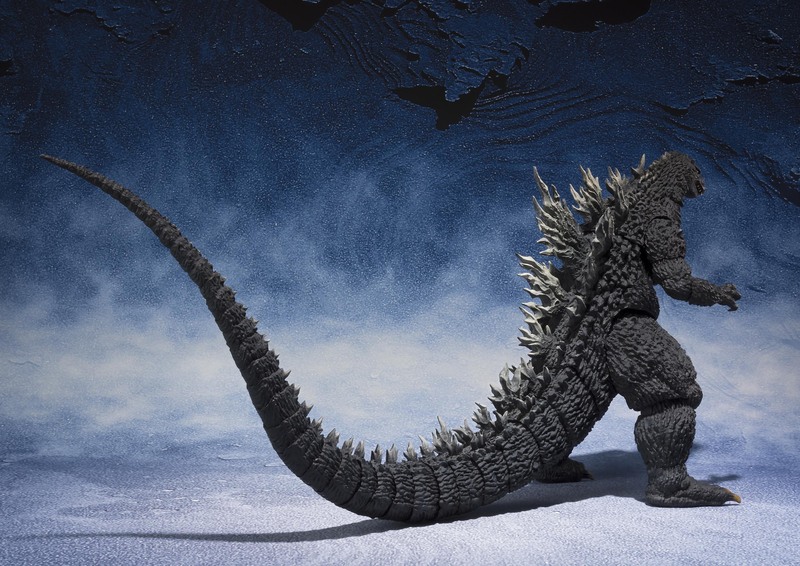 Godzilla (1962) as it appeared in King Kong vs. Godzilla joins S.H.MonsterArts! 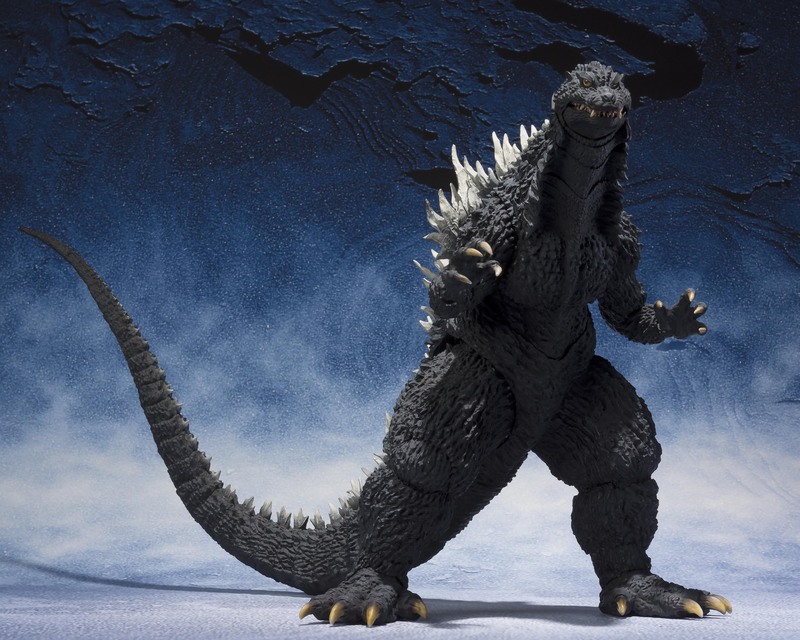 Brought to life due to popular demand, this figure is sculpted by renowned Godzilla artist, Yuji Sakai. 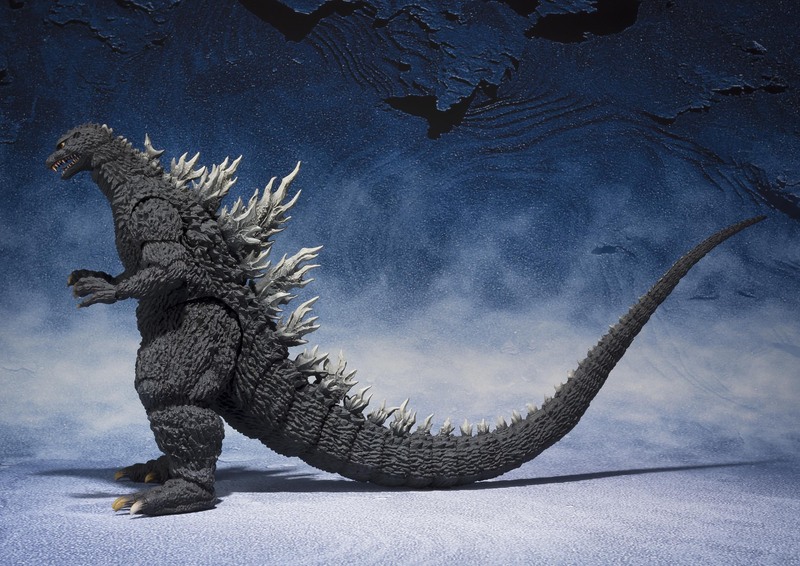 The coloration is represents the final battle against Kong at Mount Fuji, featuring a dusty look look, especially around the feet! 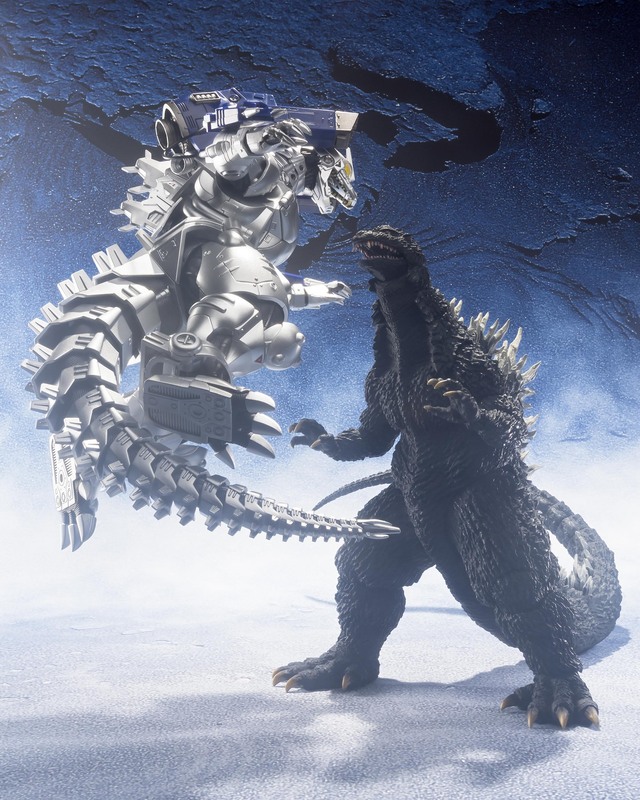 It's like it walked out of the battle and into your collection! 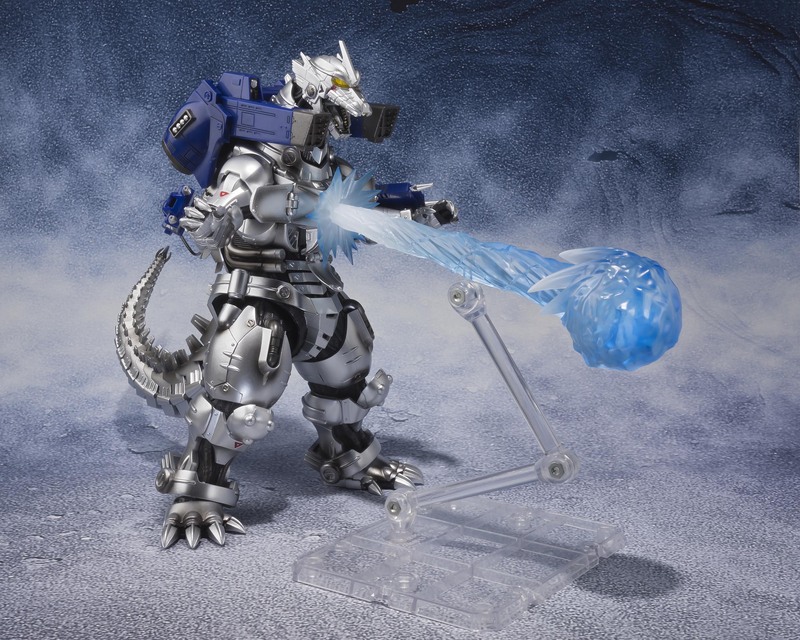 In addition, Godzilla will come with a Showa-styled Heat Ray effect piece. 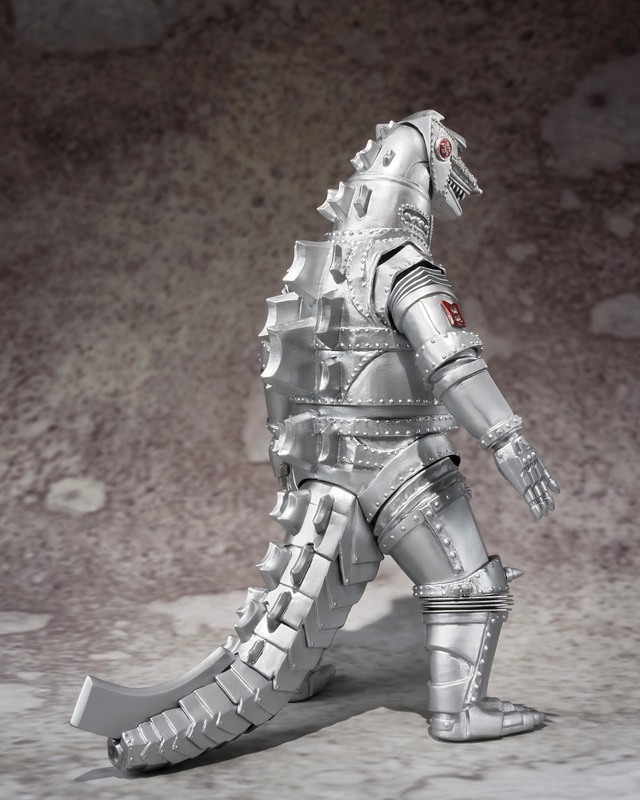 Seit heute ist jahrelang einsame Kiryu nicht mehr allein und hat einen Spielgefährten. 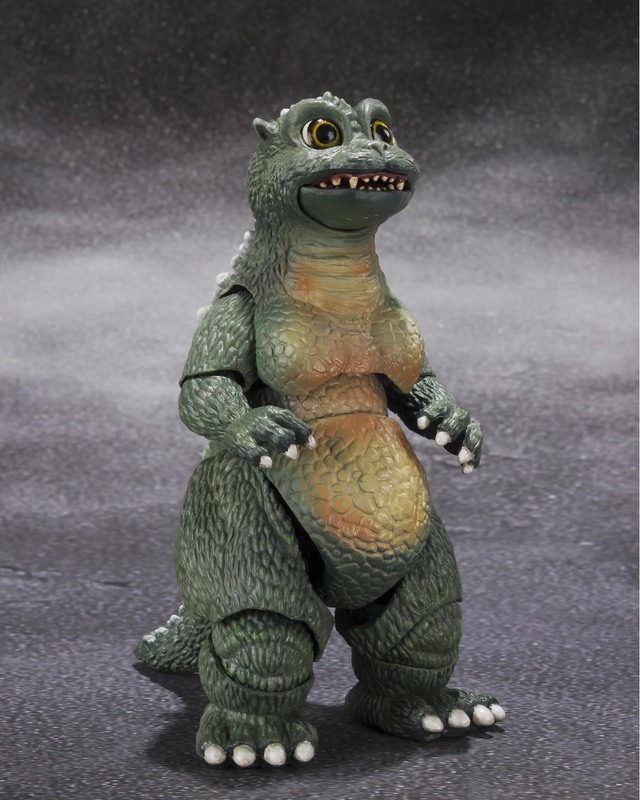 Der GxMG-Godzilla ist heute endlich eingetroffen. 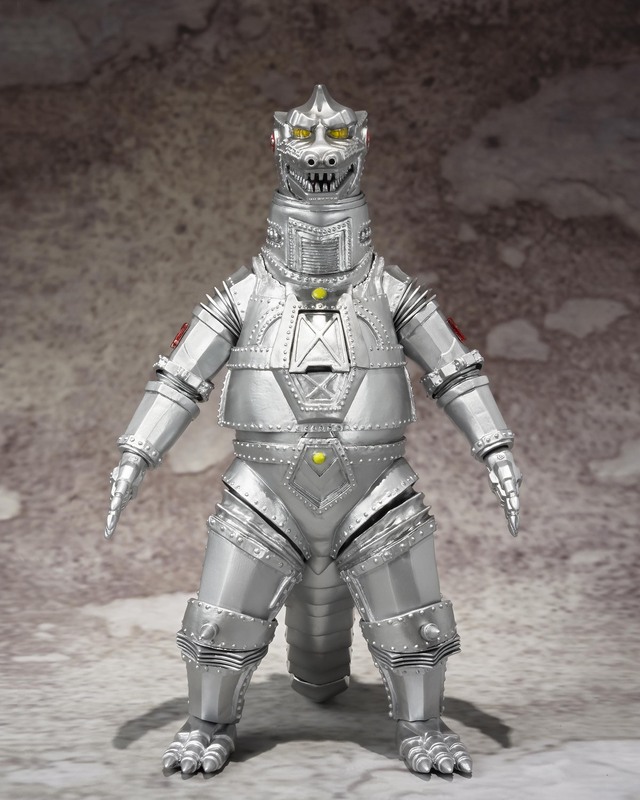 Den 1962er Godzilla MUSS ich haben!!! 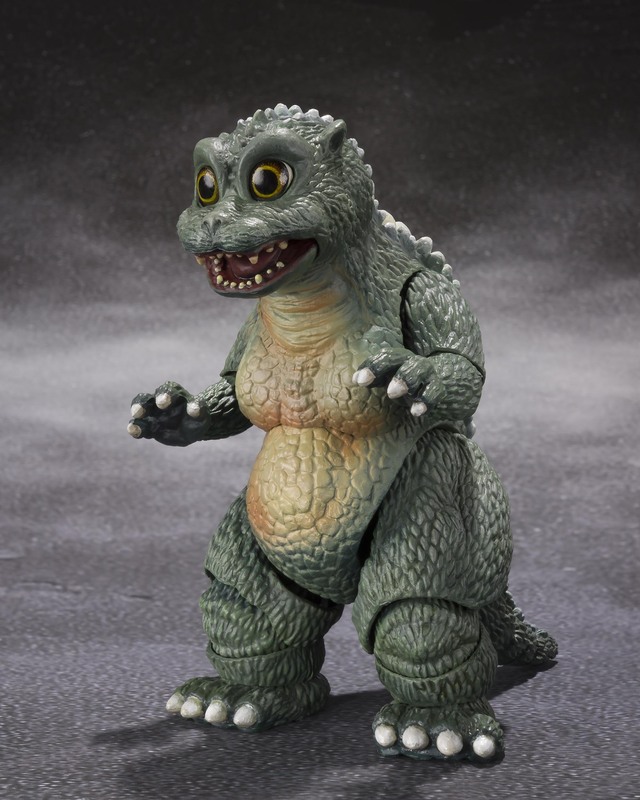 Ich hoffe ja auch noch auf eine Neuauflage des 1954er Godzilla (die Figuren aus der Serie sind immer so schnell ausverkauft) und auf den 1964er Godzilla (meiner Meinung nach längst überfällig)! available for pre-order January 9, 2019. 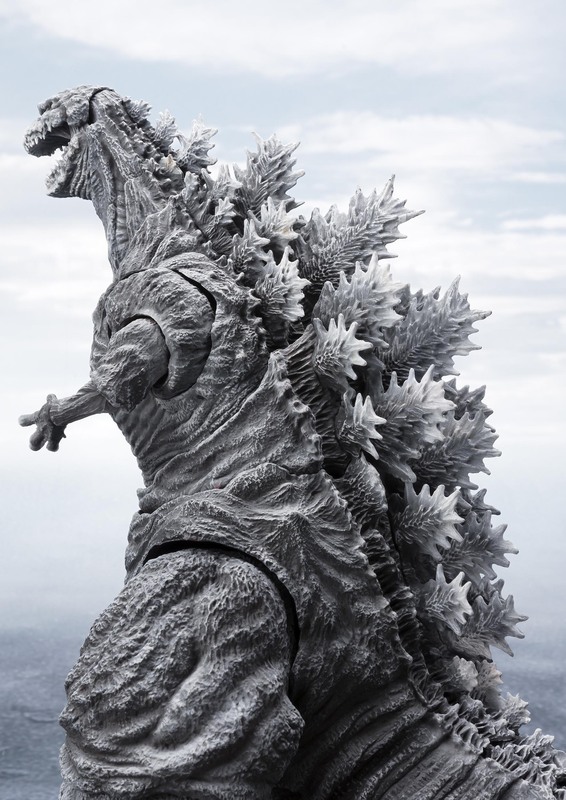 Based on the material of the movie, Yuji Sakai works his mastery of sculpt and paint on the new Godzilla. 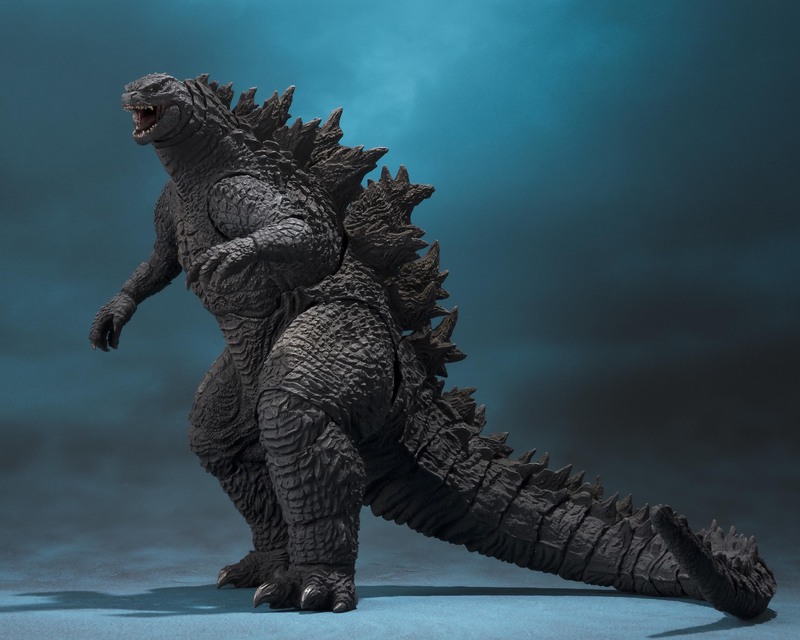 This Godzilla is able to produce many possible poses without compromising proportions or sculpt.This figure also has unique articulation engineering to allow it to rear it's head like the scenes using its atomic heat ray towards the sky. No replacement head needed! Zuletzt geändert von xXxKilluxXx am Mi 05.12.2018, 20:50, insgesamt 8-mal geändert. 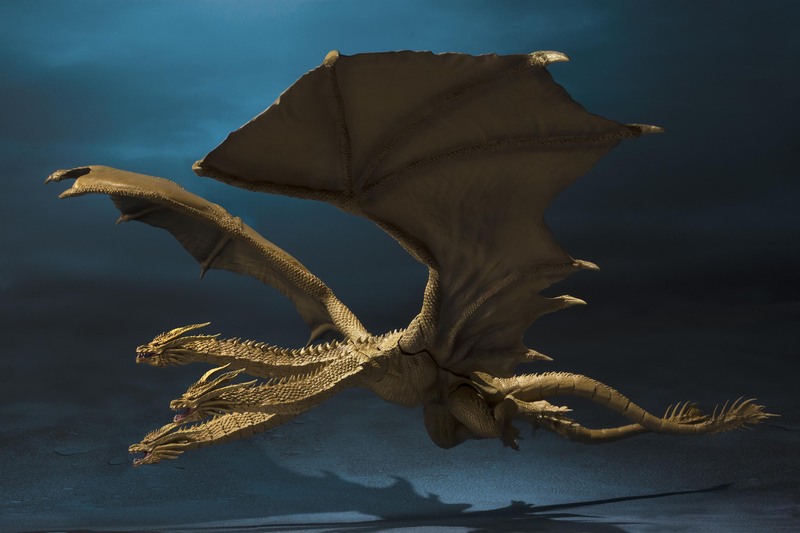 Ojeh, die Amis haben Mothra verhunzt. 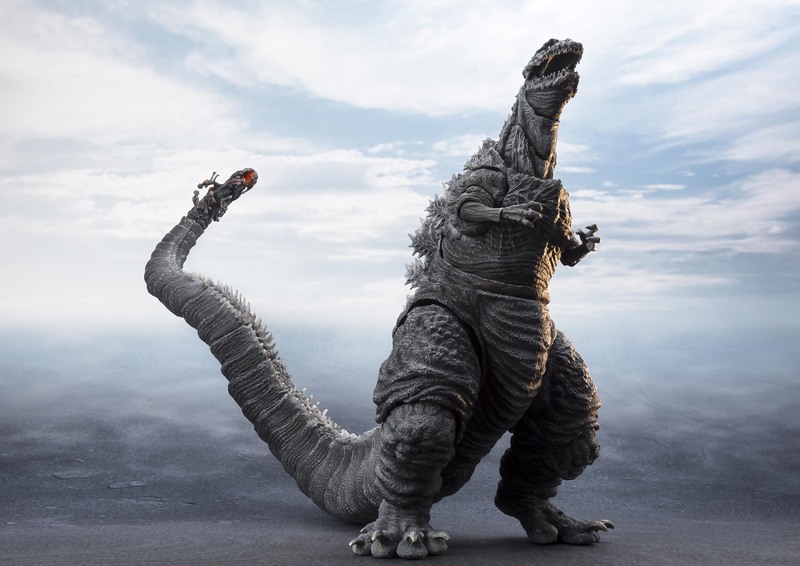 Aber der Rest sieht ganz gut aus,vorallen Godzilla seine Rückenfinnen kommen meiner Meihnung den Orginal schon recht nah. Bei Mothra muss man auch bedenken, dass es sich bei dem obigen Bild um eine Nachbildung aus Plastik handelt. Evtl. 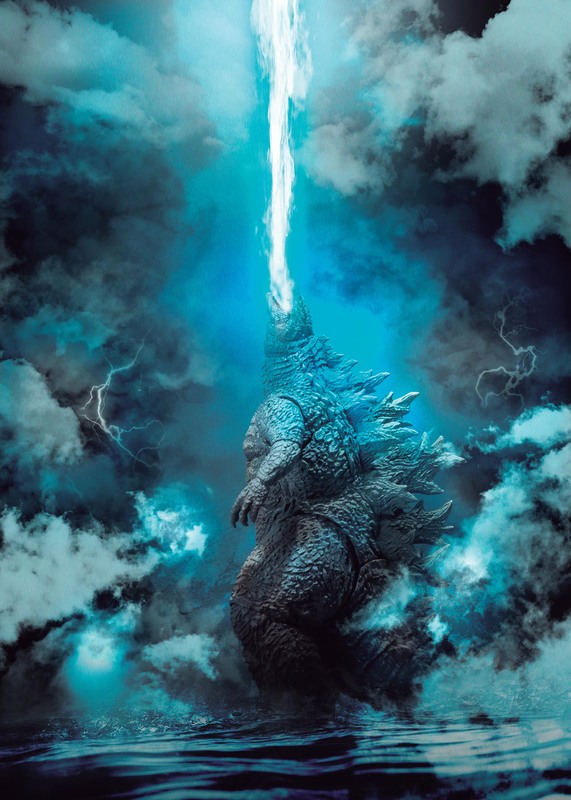 hat die Mothra im Film durchaus einen ordentlichen Pelz, nur ist sowas schwierig in Plastik nachzubilden. Ansonsten ist die einzige radikale Änderung die Form der Augen. 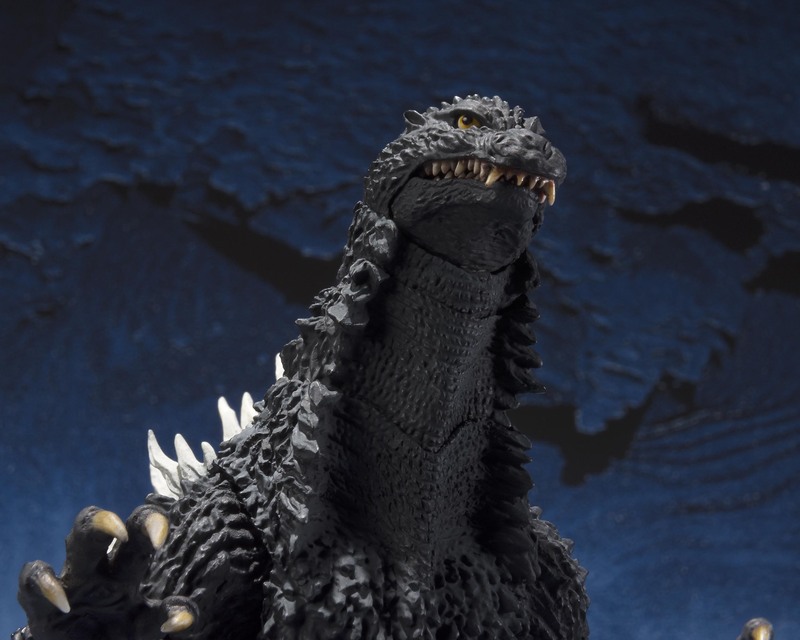 Based on the material of the movie, Yuji Sakai works his mastery of sculpt and paint on the new Godzilla. 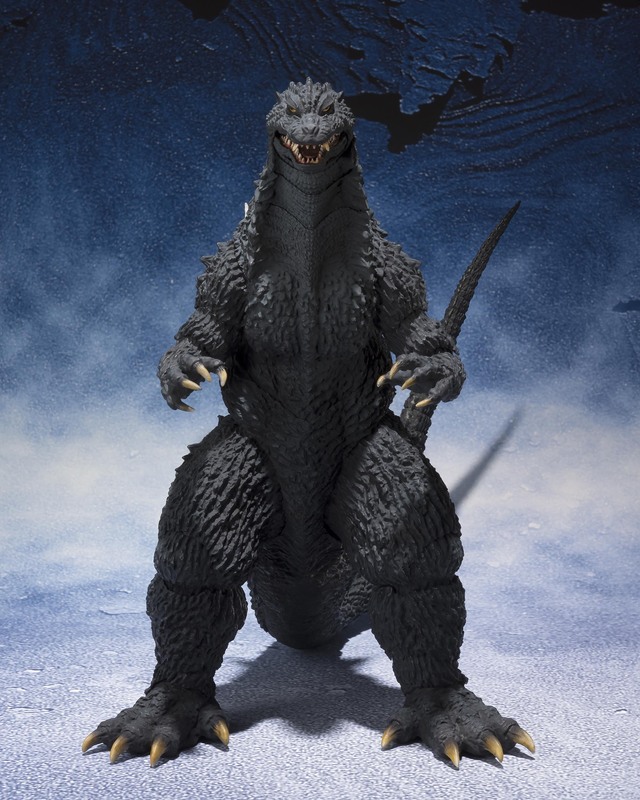 This Godzilla is able to produce many possible poses without compromising proportions or sculpt. 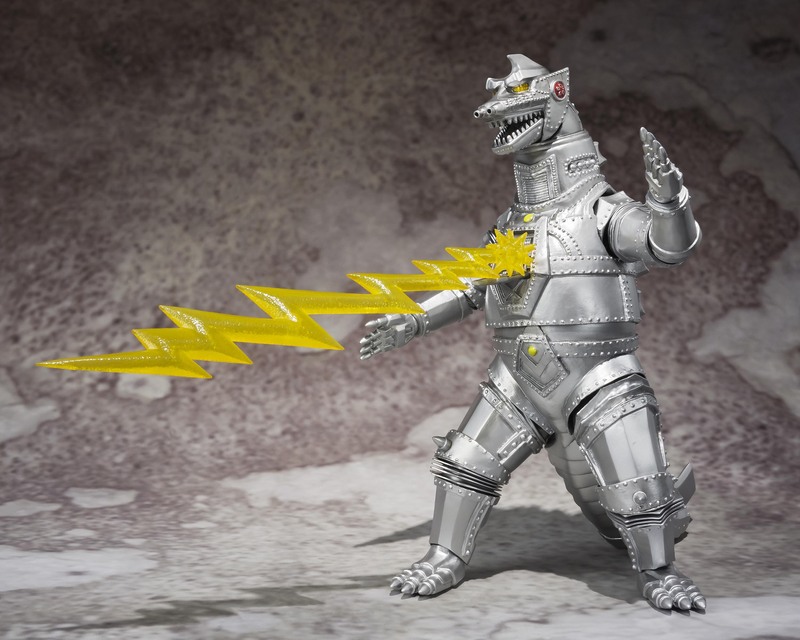 This figure also has unique articulation engineering to allow it to rear it's head like the scenes using its atomic heat ray towards the sky. No replacement head needed! Zuletzt geändert von xXxKilluxXx am Fr 28.12.2018, 08:24, insgesamt 1-mal geändert. 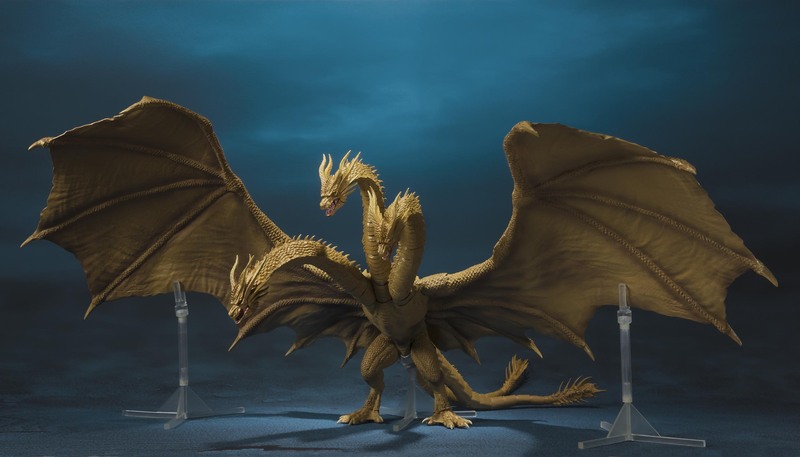 Based on the material of the movie, Shinichi Wakasa works his mastery of sculpt and paint on the new King Ghidorah. 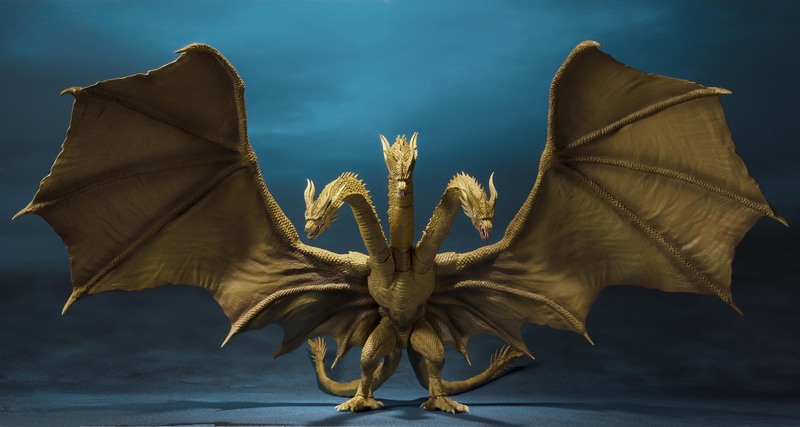 This King Ghidorah boasts the most advanced articulation engineering while hiding viewable joints without compromising the sculpt. 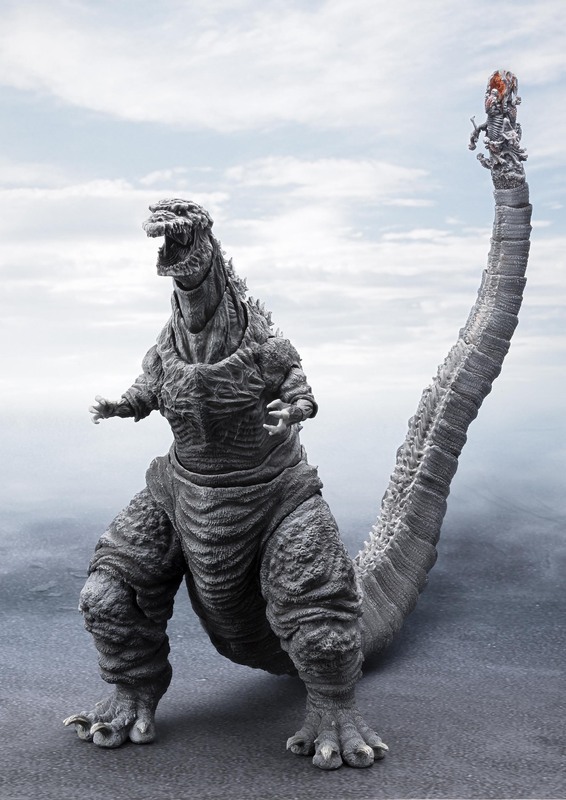 The necks are able to produce many possible poses without compromising proportions or sculpt. 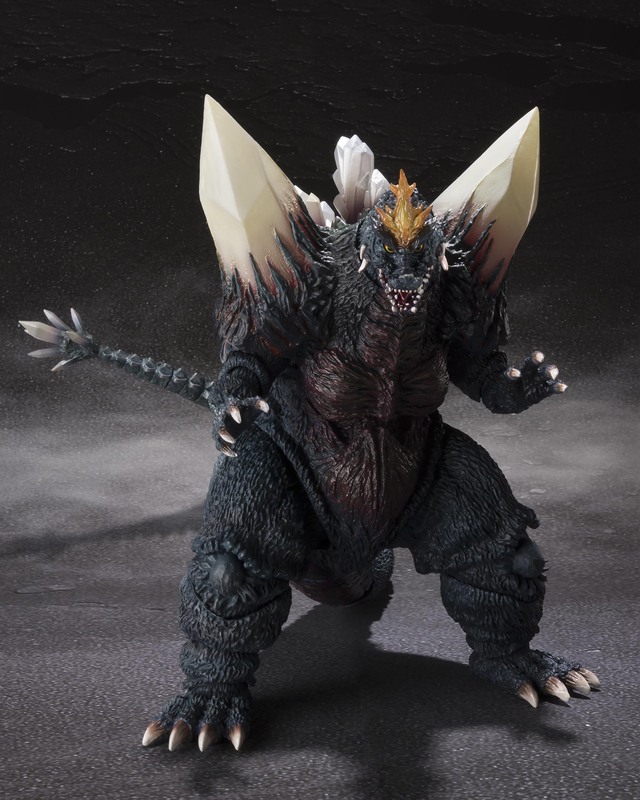 This figure is one of the biggest yet in the S.H.MonsterArts line, standing at 250mm and totaling at 600mm from wing to wing. Zuletzt geändert von xXxKilluxXx am Sa 12.01.2019, 10:22, insgesamt 1-mal geändert. Der sieht ja echt spitze aus,ich glaube den kaufe ich mir!